This guide helps appraisers, real estate agents, energy and green raters, lenders, builders, the secondary mortgage market and sustainability organizations understand how each section of the addendum applies to valuation and marketing of the property. Since its release in 2011, “The Residential Green and Energy Efficient Addendum” has gained ever-increasing acceptance as a tool to communicate the high-performance features of a home. The addendum is mapped to the Real Estate Standards Organization and the Mortgage Industry Standards Maintenance Organization to allow the data to be transferred to the MLS and secondary mortgage market portal. 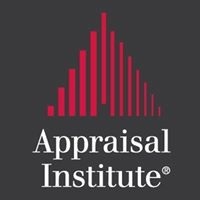 The most recent version of the addendum is 820.05, which is available in PDF format at no charge on the Appraisal Institute’s website. The 820.05 Residential Green and Energy Efficient Addendum Detailed Instructions document should be used along with this guide. Individuals who should complete the addendum include the builder, energy or green rater, architect, solar installer, or a combination of these professionals. Appraisers can complete the addendum if they have all the necessary documentation and adequate knowledge of the project.